As someone who is all too familiar with the woes of spots and acne, any day when my skin is free of zits or active breakouts is a joyous day. I like to let my skin breathe but even on a clear skin day I have dark shadows under my eyes and fading acne scars. Therefore, I prefer light, almost imperceptible tinted moisturizers or foundations that even out my skin without looking too obvious. I don't mind if my spots peek out a bit or if my complexion isn't flawless because it's far from it. Enter Vitazing. Vitazing is a cult favorite by Origins that I first heard about from TiffanyD. 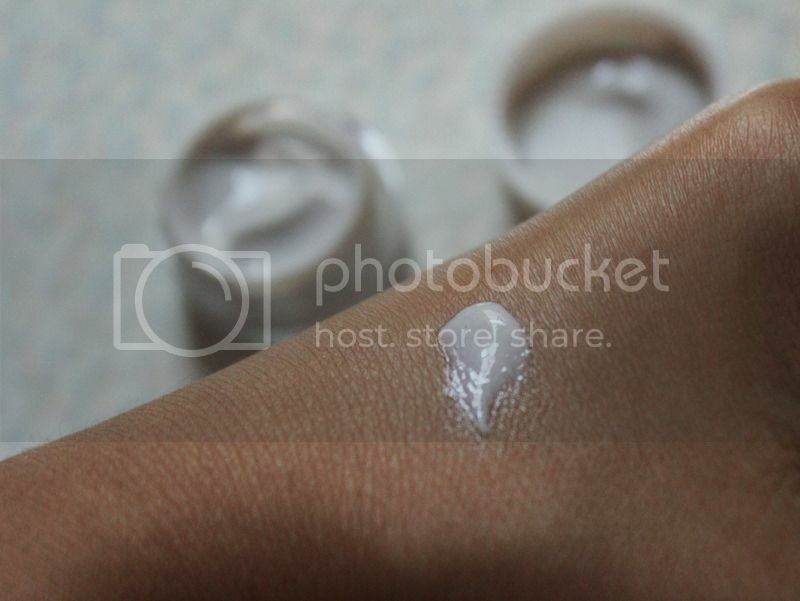 I was wary of Vitazing because it's categorized as a moisturizer but it has pigment in it to even out the skintone. I'm usually not a fan of skincare combined with makeup products but just out of curiosity I asked for a sample during my last foray into the store. Vitazing is an all in one product: a moisturizer that hydrates, energizes and protects. It has SPF 15 and is fortified with mangosteen. I don't know if any of you are familiar with mangosteen but it's a fruit and I absolutely love it. It's incredibly tasty but hard to find in the states so I rarely eat it. Anyway, I'm not really convinced that Vitazing has copious amounts of mangosteen and the claim is probably just a marketing technique to pique consumers' exotic senses. There is a strong fruity scent to the product that I find nice but I could do without it. If you are not a fan of fragranced skincare or base products, I don't think anything Origins makes is fragrance free. Price wise, Vitazing is $35 for 50ml which is mid to high end. A little bit goes a long way so the 50ml tube should last at least six months with frequent use. This is meant to triple up as a moisturizer, sunscreen and tinted product so that also makes the price tag a bit easier to swallow. Suspended in the white liquid base are tiny gray spheres which do not feel like anything on the skin. 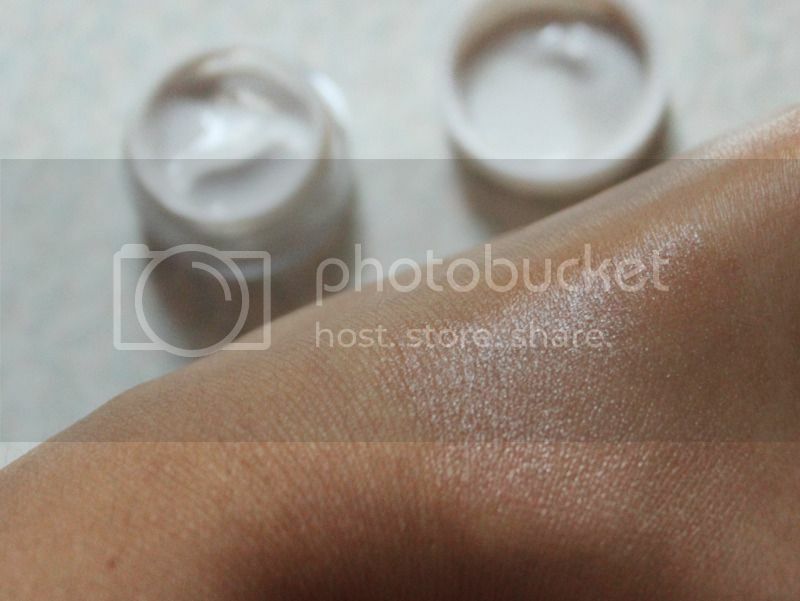 As you rub the product into the skin the gray spheres transform the white base into something similar to your skintone. As you can see the whiteness dissipates to reveal a glowy tan color. The shine is very noticeable and the color actually looks darker than my skintone. This could be great for fair skinned people who want a bit of tan but are wary of fake tanning. 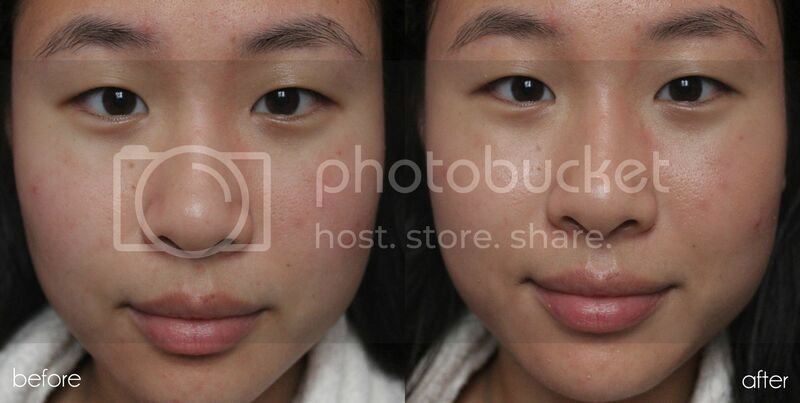 Unlike my last before and after base makeup comparison, my skin has been through a bout of acne issues recently. I prefer to use Vitazing on my "good" skin days and I honestly love it when my skin is blemish free. 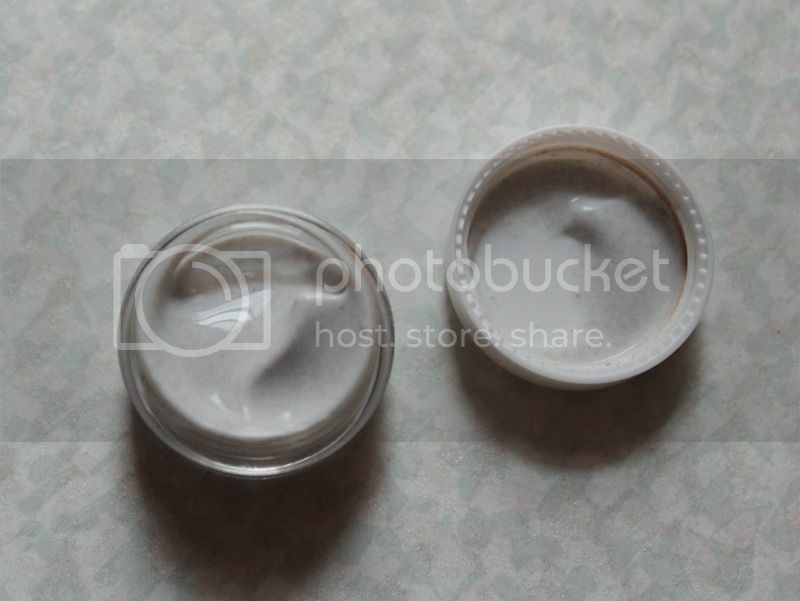 On days when I have more redness and acne, I need to use a concealer if I want to look more covered up. Even though Vitazing has pretty much nonexistent coverage, it ever so slightly reduces the minor redness in my cheeks and around my nose. 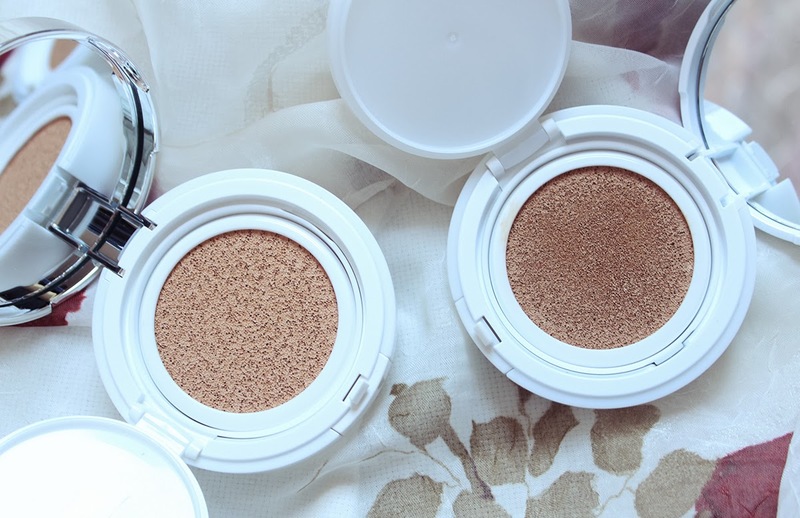 It definitely leaves a radiant finish that gives my face a more three dimensional look. I like that is raises the high points of my face and gives me a natural glow that my bare skin lacks. Vitazing has no oil control and I get oily within a few hours of wear time. I usually have to blot two to three times over the course of a full day when wearing Vitazing under powder. Even though my oils peek through Vitazing, my skin never looks patchy. It does not look like I am wearing a tinted moisturizer or anything of the sort. I usually prefer to moisturizer, apply sunscreen and then whatever base makeup of the day but I find that Vitazing actually works better as a moisturizer rather than a separate base. I apply Vitazing right after my toner and it seeps into the skin better and is great for lazy days when I do not want to apply a separate moisturizer and sunscreen. This was one of those hyped up products I was prepared to dislike but ended up being pleasantly surprised. Vitazing is a nice product when I want minimal perking up for a good skin day and I don't feel like applying moisturizer and sunscreen. This is not a product for special days nor one if I need long lasting coverage but it's a great multitasking everyday product for a busy gal. It looks very nice on your skin. On me, unfortunately, it looks orange. I do wish they had a lighter color. Thanks! I had a feeling it would look a bit orange on very fair skinned people which is unfortunate. Hopefully they can make another shade in the future. 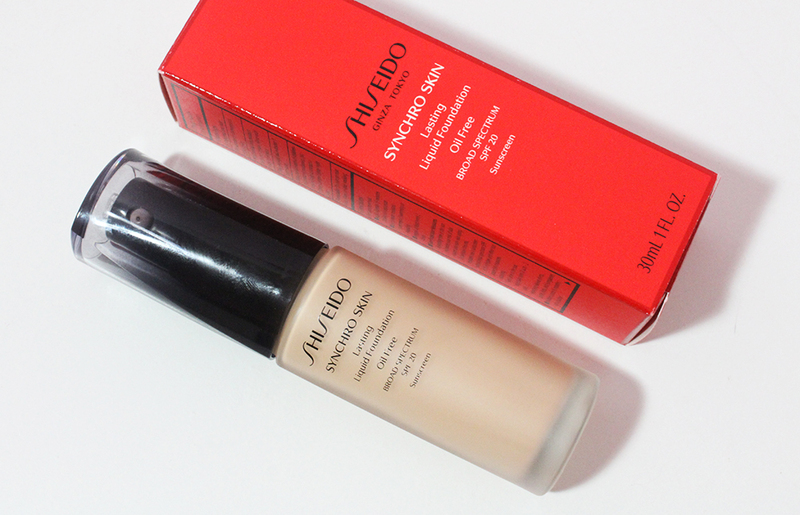 I really like products, such as foundation/tinted moisturizers that have a little bit of spf in there. It definitely takes away one less skincare step that you have to do. But with the iffy oil control for the vitazing... I just hope I don't look like a grease ball at the end of the day. Defintely need to get a sample of this. I usually prefer to always wear a sunscreen underneath my makeup since I don't cake my entire face with the makeup and thus not every patch of skin is sun protected. But I have my lazy days once in awhile so I can't be bothered. I definitely look greasy if I don't blot but it's not too bad if I have blotting papers.